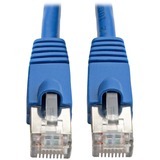 Deliver high-performance 10Gb Ethernet connections, free of noise and EMI/RFI interference. 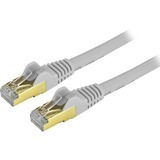 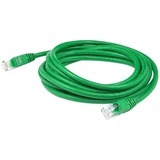 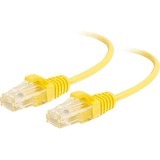 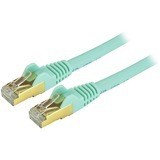 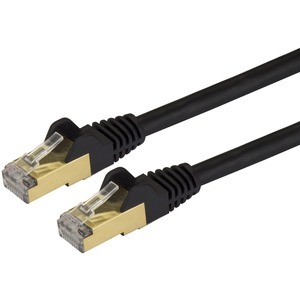 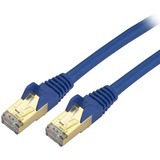 This 10-foot Cat6a cable meets or exceeds all Category 6a cable specifications to ensure reliable 10Gb network connections. 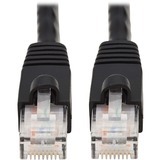 The cable is shielded to protect your network against electromagnetic interference (EMI/RFI) and system noise, providing the perfect solution for fast and safe network connections. 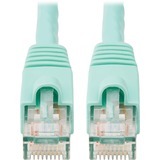 Plus, the cable features molded boots that offer strain relief to stop the RJ45 connector termination points from bending at sharp angles, which reduces the risk of damage to the cable that could decrease network performance. 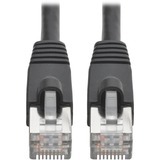 The C6ASPAT10BK is backed by StarTech.com's lifetime warranty for guaranteed reliability.